There are plenty of horror stories pertaining to riding a taxi. I for one experienced that a year and a month ago (read my post: Knock Knock LTFRB) when the rude and would be killer taxi driver pushed me out of the taxi while moving. That experience proved that I am no superwoman when it comes to facing danger in the hands of the supposed person who should bring me home safely. At Blogapalooza, I was introduced at GRABTAXI and how it works. Although there's a top up of Php70.00 per ride, I worry no more because I can never buy safety on the road. 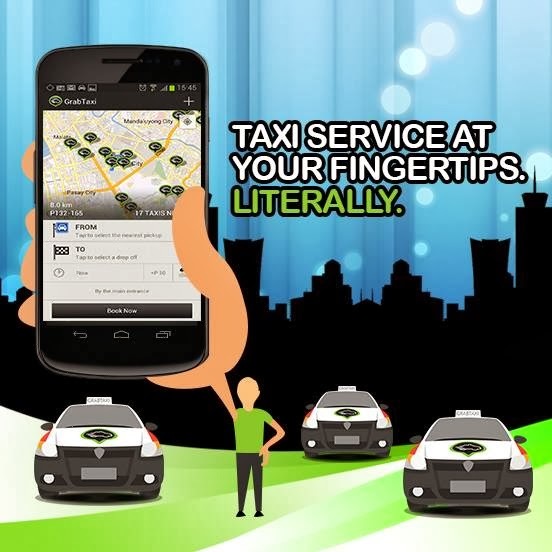 GrabTaxi is the first and largest taxi app in the Philippines that help passengers book a cab with safety, speed, certainty and convenience. GrabTaxi aims to improve taxi markets by introducing simple, cost effective mobile-based technology to both supply (taxi fleet and drivers) and demand (passenger) that will optimize the matching process between both. The vision is to revamp the taxi industry and to provide public transportation mobility for all by developing a sustainable solution for a very real social pain. By combining top talent and disruptive technologies and innovation, GrabTaxi wishes to create a high potential, self- sustainable social enterprise that will help bring Philippines to the forefront of the technological development wave. 1. 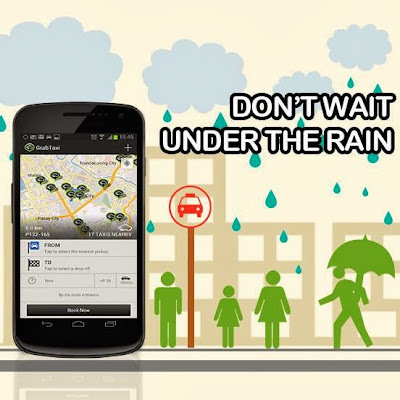 Download, search for GrabTaxi on Google Play and App Store. 2. Book a taxi - select pick-up and drop off locations. 4. Share your ride and let your family and loved ones know your location and other details. Why I didn't know this? I should have grabbed a taxi last Friday night from BGC. The taxi we hired charged us 100 above the regular rate. that was really over over plug in rate. in my desperation, I grabbed it just to make it home after two hours of waiting for a cab.